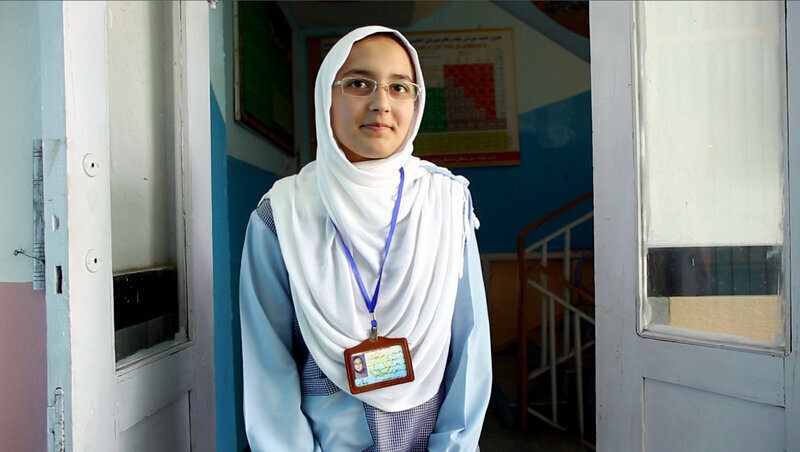 Hadia Durani is one of the cool girls at her school in Kabul. She&apos;s chatty and gets good grades, and when she grows up she wants to be president. In class, Hadia is outgoing, but once she leaves the schoolyard, things are different. She says men and boys yell at her when she&apos;s walking to and from school. They tell her she should stay at home, and call her mean names, and when that happens, she just keeps her head down and ignores them. "It will just start an argument," she shrugs. "And [the girls] get blamed." The heckling gets to her friend Layli. "I just want to punch them in the face," she says. But she never has. Take part in our social media campaign for #15Girls here. Read all the stories in our #15Girls series here. 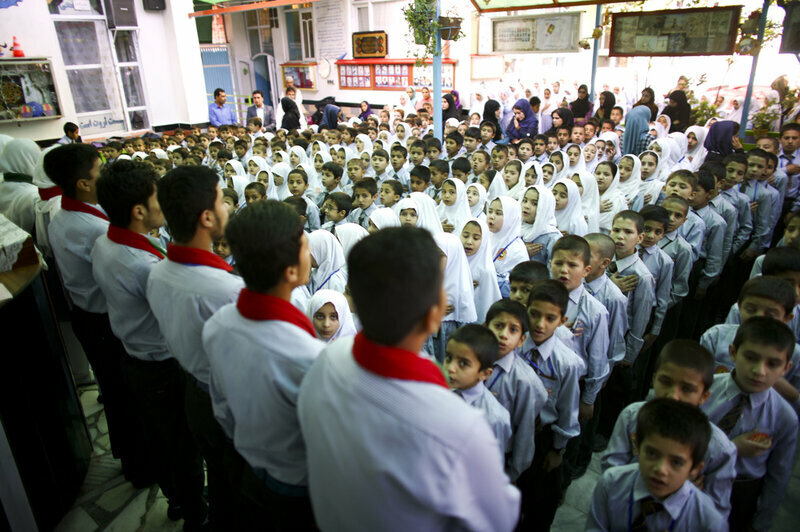 These 15-year-olds are both students at the Tanweer School in Kabul, Afghanistan. It&apos;s a private K-12 school in a lower middle-class neighborhood on the south side of the city. Their very presence in school is a sign of the progress girls are making in Afghanistan. But teenage girls in Afghanistan are in a peculiar spot. They&apos;re better off than their mothers — for one thing, more and more young women can read — but their dreams for the future may not align with the opportunities available to them. At the same time, there are still not enough opportunities for young women to continue past high school and on to careers. The students at the Tanweer School, whom I interviewed for our series on girls at 15, know they&apos;re especially lucky to be able to attend classes. A lot of girls their age have dropped out because there&apos;s too much social pressure from their families who want them to spend their time in the home after they reach puberty. We interviewed these girls — and some of the boys at their school as well — on video. You can see that and more photos from their school here. At 15, they&apos;re full of dreams. Somaya Rahmanzai is a math and science nerd. In geometry class, she stands up confidently to volunteer the formula for the area of a circle. "My school has a laboratory!" she says. "We can learn biology and mathematics. We have many rooms and teachers. I love school." By contrast, her mother&apos;s school had one room and one teacher, and she wasn&apos;t able to continue past the sixth grade. 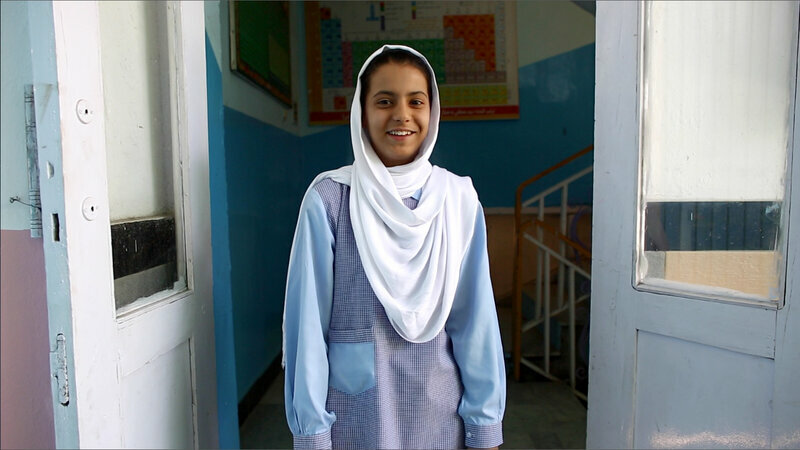 "When I grow up," Somaya says, "I want to be a brain surgeon, so I can inject people." "And also make them better," she adds. There&apos;s a lot of uncertainty in Somaya&apos;s future. To be a brain surgeon, she needs to go to college. Same with Hadia and Layli. When they graduate in a couple of years, all the girls I talked to said, they want to continue their education. But that probably won&apos;t happen. According to Afghanistan&apos;s Ministry of Education, for every available college slot in Afghanistan, there are about five students who want to go. Plus, with each passing year the pressure to leave school and get married will increase. Yet their excitement about their futures is undiminished. They don&apos;t seem to know how hard it will be to accomplish everything they hope to. Or maybe they believe their sheer determination will carry them through. Take part in our social media campaign for #15Girls here. Read all the stories in our #15Girls series here.